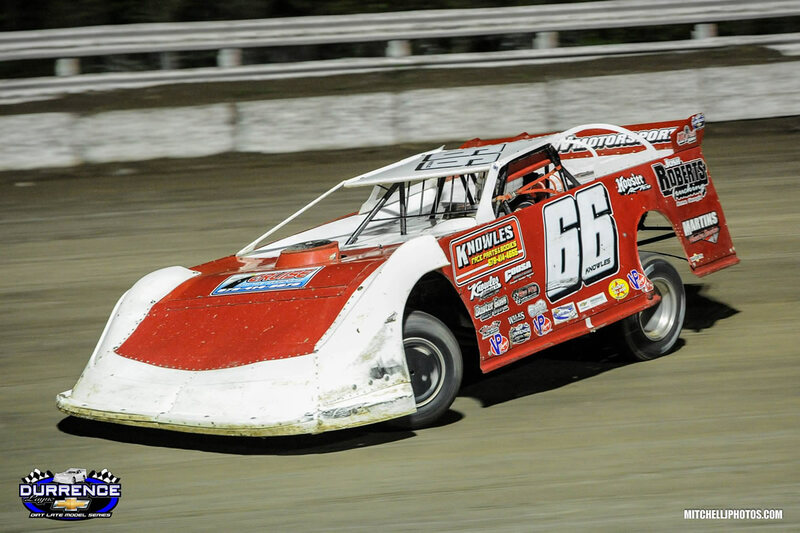 Jake Knowles had to overcome adversity and more than his fair share of challenges en route to a pair of Top-10 finishes over the weekend with the Durrence Layne Winter Shootout Series. 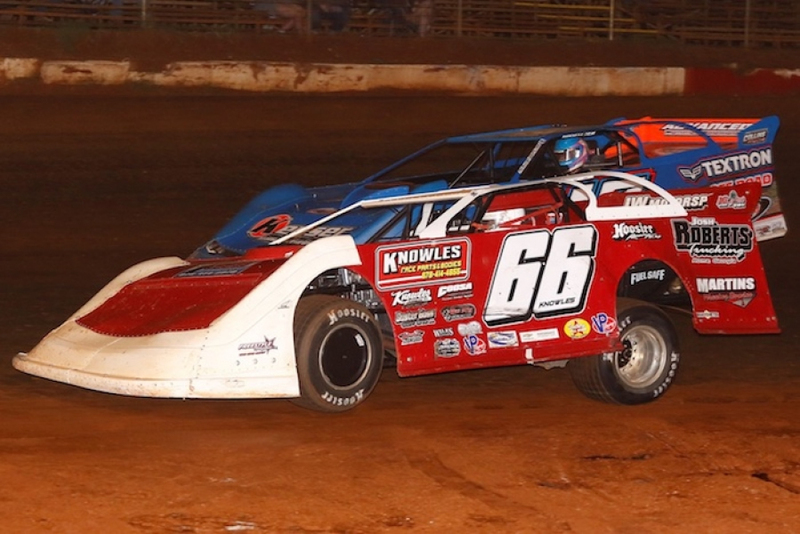 On Friday night he finished 10th in his Knowles Race Parts & Bodies #66 Josh Roberts Trucking/ Coosa Heating & Cooling/ Longhorn Chassis Late Model, while Saturday night found him crossing the finish line in fourth. Jake Knowles followed the Durrence Layne Winter Shootout Series to Cochran Motor Speedway (Cochran, Georgia) on Friday night for the opening round of the two-day Cochran Clash. In a field of 21 cars, Jake registered the third-fastest time in qualifying, which positioned him third on the starting grid for the opening night feature. With $2,000 on the line, Knowles got spun around on lap-28, while running in the second spot. He rejoined the tail of the field before rebounding to a 10th-place finish. The following night, Knowles secured his spot into the $3,000-to-win finale with the 10th-fastest time in qualifying. Breaking into the Top-5, Jake passed six cars in the 50-lapper to finish fourth behind Tyler Sanders, Ashton Winger, and Jimmy Elliott with Drew Kennedy rounding out the Top 5. 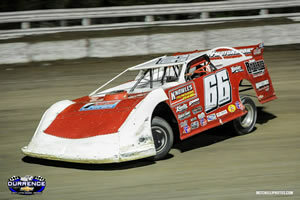 Jake finished second in the final Durrence Layne Winter Shootout Series point standings. For more information on the event, please visit www.DurrenceLayneRacing.com. 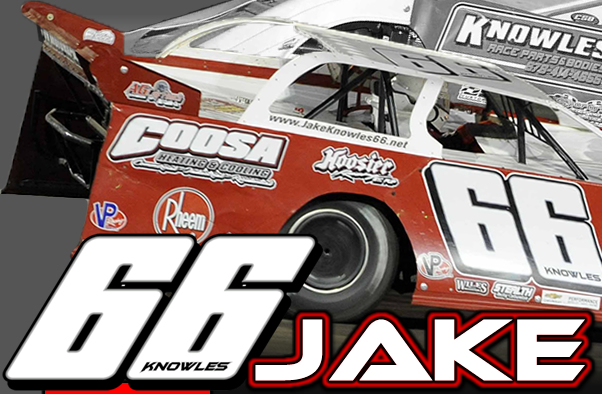 Jake Knowles kicked off the 2019 season on Thursday night at Bubba Raceway Park (Ocala, Florida) for the Bubba Army Winternationals. Drawing 26 Durrence Layne Winter Shootout Series entries for the three-day event, Knowles followed up the 13th fastest time in his qualifying with a 2nd place finish in his B-Main behind Tyler Clem. Starting the opening night feature in 11th, Jake improved three spots in the 40-lapper to place 8th. For the final night of the Bubba Army Winternationals on Saturday, Knowles timed in second fastest in his qualifying group before placing 2nd in his heat behind Tyler Clem. Earning the 5th-starting position for the $10,000-to-win finale, Jake was running in the Top-5 for the majority of the race before fading after a late-race caution to place 6th. Jake currently sits in sixth in the Durrence Layne Winter Shootout Series point standings. For more information on the event, please visit www.DurrenceLayneRacing.com. 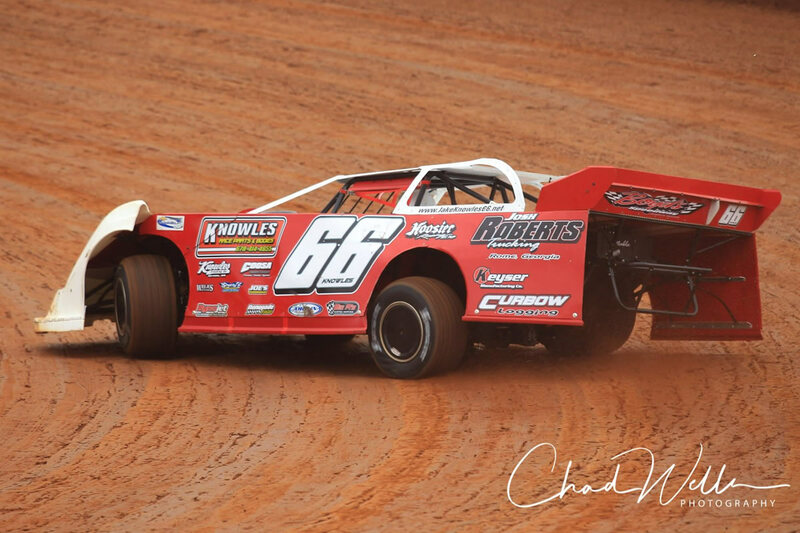 Jake Knowles enjoyed a fantastic 2018 campaign behind the wheel of his Knowles Race Parts & Bodies #66 Josh Roberts Trucking/ Coosa Heating & Cooling/ Longhorn Chassis Late Model. Friday night found Jake Knowles in action at Magnolia Motor Speedway (Columbus, Mississippi) for the Durrence Layne Chevrolet Series (DLCS) season finale. With 54 cars on hand for the Possum Town Grand Prix, Knowles registered the fifth fastest time in his qualifying group before placing 2nd in his heat behind Jamey Boland. Slated to start Saturday’s $10,000-to-win main event in 11th, Mother Nature made an appearance overnight that cancelled the finale. Jake came in ten points behind Ashton Winger for a 2nd place spot in the final Durrence Layne Chevrolet Series point standings. 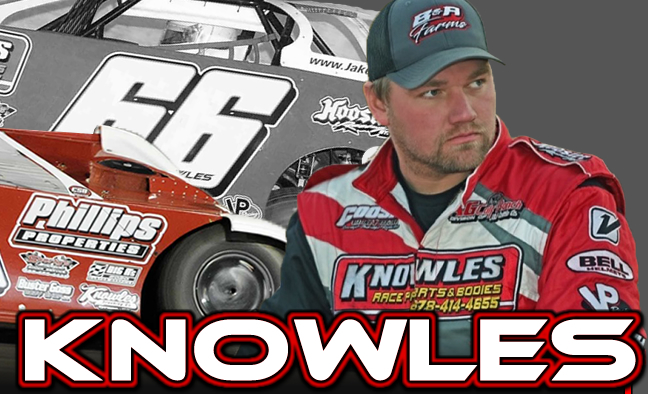 Jake Knowles had never seen Southern Raceway before this weekend. 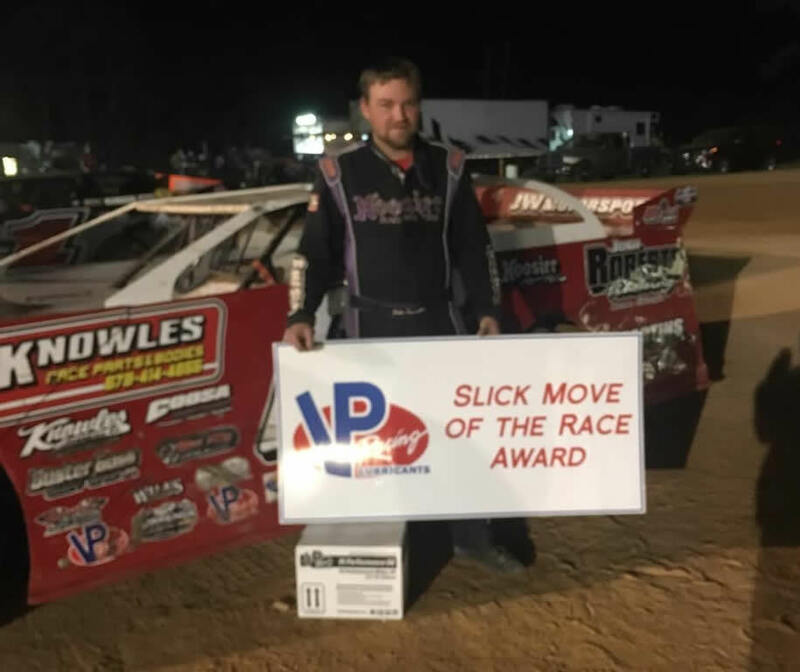 Despite his lack of experience at the tricky oval, he streaked to the $10,000 win in Saturday night’s 11th annual Southern 100. 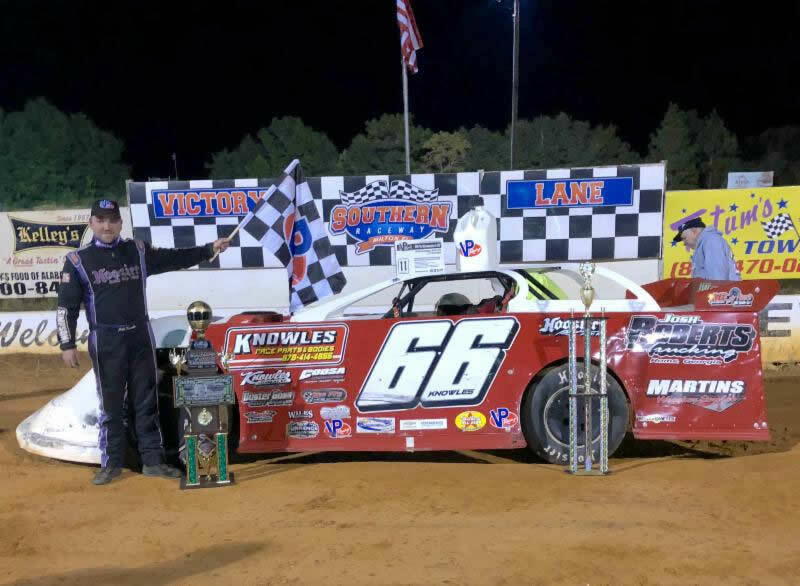 The victory came aboard his Knowles Race Parts & Bodies #66 Josh Roberts Trucking/ Coosa Heating & Cooling/ Longhorn Chassis Late Model. Jake is second in the latest Durrence Layne Chevrolet Series point standings, just 10 points out of the lead. For full results from this event, please visit www.DurrenceLayneRacing.com. For more information on the event, please visit www.MagnoliaDirt.com. 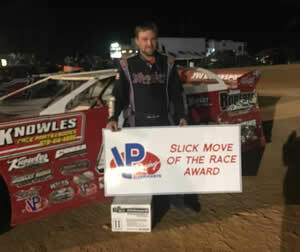 Jake Knowles invaded Boyd’s Speedway (Ringgold, Georgia) on Saturday evening for the regular night of racing. Following the third fastest time in qualifying, Knowles cruised to a heat race victory positioning him on the pole for the feature. Dropping one spot, Jake posted a 2nd place finish. For full results from this event, please visit www.BoydsSpeedway.net. Friday night found Jake Knowles in action at Talladega Short Track (Eastaboga, Alabama) for the Durrence Layne Chevrolet Series sanctioned weekend. Drawing 38 cars for the two-day event, Knowles laid down the third fastest time in his qualifying group positioning him 6th on the starting grid for the opening night feature. With $2,000 on the line, Jake improved four spots in the 40-lapper to place 2nd behind Ashton Winger with Oakley Johns, Bryant Marsh, and Chase Edge completing the Top-5 finishers. Jake jumped up to second in the latest Durrence Layne Chevrolet Series point standings. For full results from these events, please visit www.DurrenceLayneRacing.com.